The music of the new GHQ comprises “jazz standards” ~ some less familiar than others ~ presented afresh through Haslam’s imaginative arrangements. Creating an original performance of established and well performed songs offers a great challenge to the arranger, a challenge calling for a searching choice of the right material, an intimate understanding of the musicians … and conception. The song maybe one the arranger has used for many years but suddenly inspired by a startling new arrangement – such as ‘It’s only a paper moon’ given a completely new identity as a ‘St Thomas’ style jazz calypso, or a stranger to the jazz repertoire appearing in a new guise – the ballad ‘I’ve never been in love before’ from Guys and Dolls sounding so good as a jazz waltz it’s difficult to believe it was ever anything else. The choice of musicians may not be difficult – what is difficult is assembling such in demand artists. 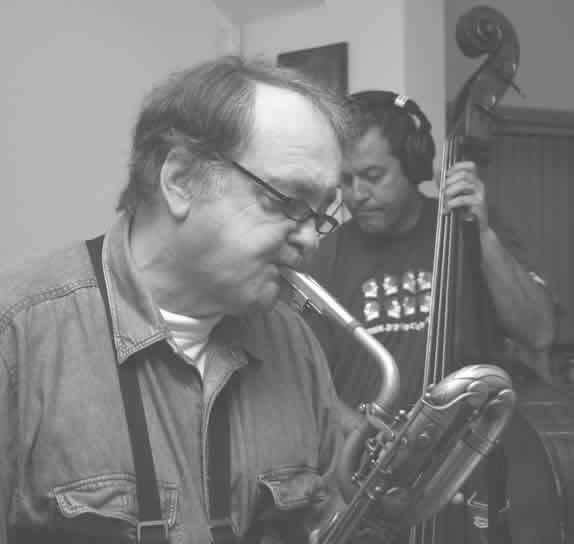 Haslam’s quartet brings together three of the greatest musicians he has worked with over the years. 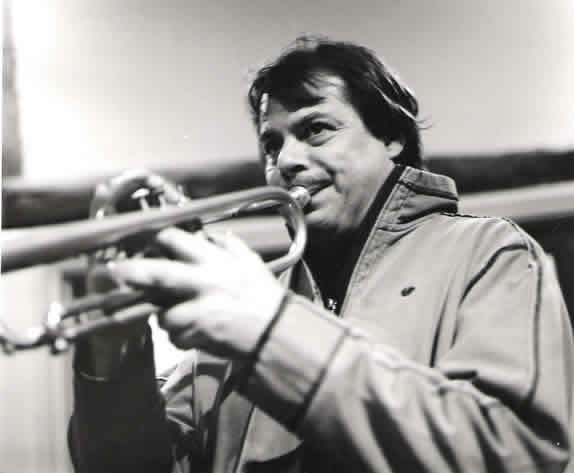 Steve Waterman must be anyone’s choice of high energy, inventive but always in complete control jazz trumpet. 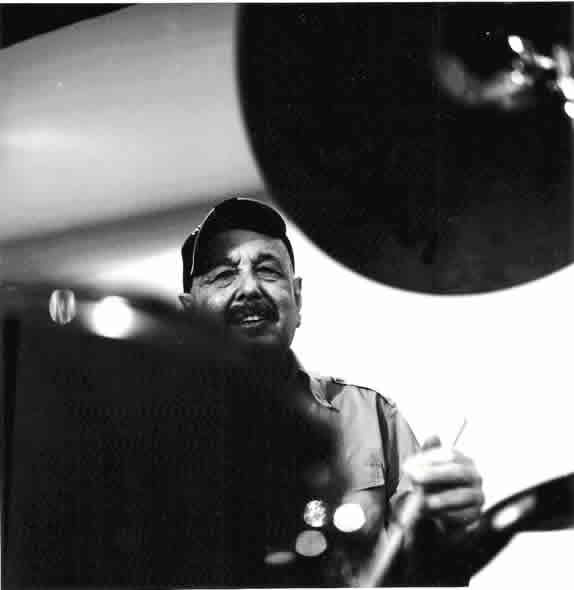 Robin Jones, the great congero, has a mastery of the jazz drumkit sometimes left in the shadow of his Latin percussion reputation but has played with everyone from Bud Powell and Stan Getz downwards. 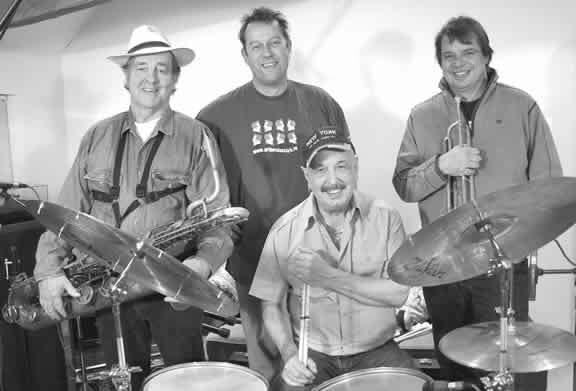 The driving force of Steve Kershaw’s bass and his rhythmic versatility provide a solid platform throughout the music and with Robin a great rhythm engine. 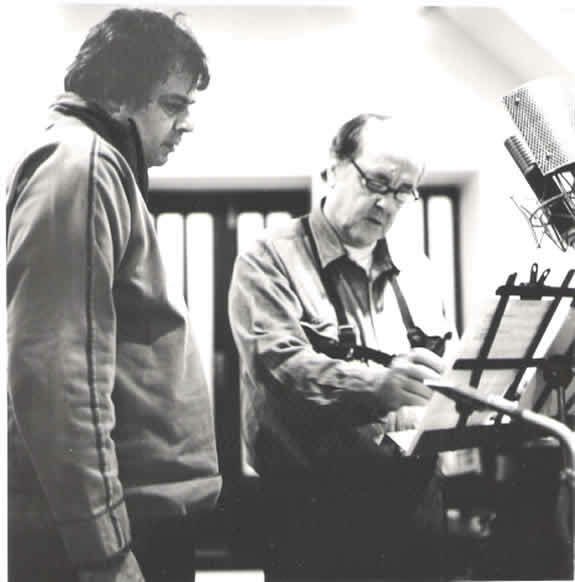 George Haslam has worked across the world – both geographically and musically; he was voted in the Top Twenty All-Time World Greatest Baritone Saxists.